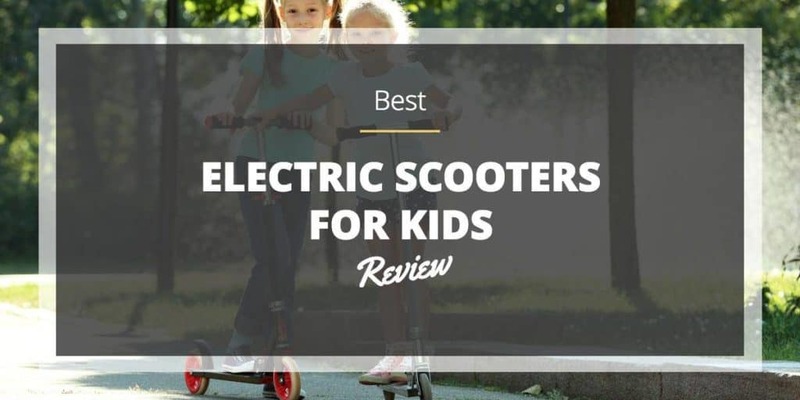 If you’re looking for an electric scooter to buy for your kid, then I’m glad to say that you have come to the right place. Below, you’re going to find all of the information you could possibly need in order to help make sure you find the perfect scooter. 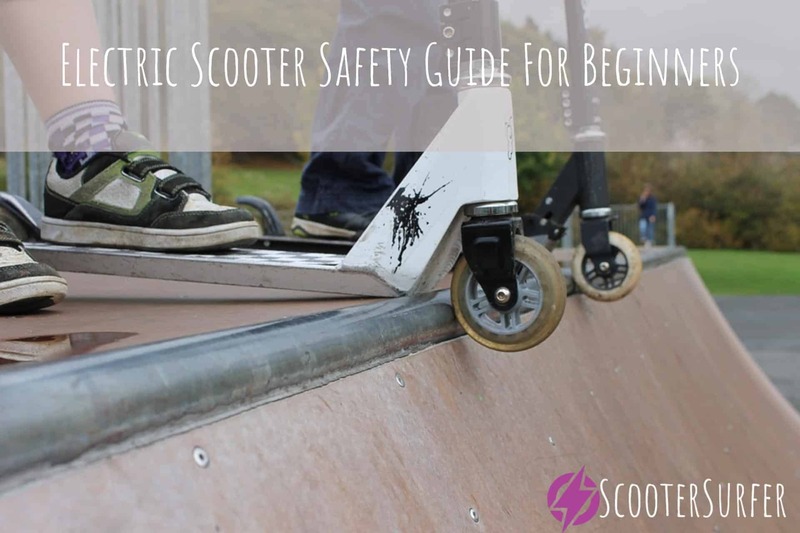 You’ll find plenty of information regarding what to look for in a scooter as well as some of the top product recommendations for scooters you can buy. In no time, you’ll be ready to buy the perfect scooter! There are some important factors that you will need to look at before you make your decision. This Razor E200 Electric Scooter is one of the best options when it comes to trying to find a scooter that is going to offer you just about everything you could possibly want from an electric scooter for your kids to enjoy. It uses a high-torque, ultra-quiet motor along with a simple, easy to use twist throttle on the grip to provide you with a motor capable of reaching speeds up to 12 mph no matter where you ride. Additionally, this particular scooter is powered by a rechargeable 24V battery system to provide you with long-lasting fun each and every time you use this scooter. The battery charger is UL approved for maximum safety. In terms of the remaining features of the E200 electric scooter, it comes with a hand operated rear brake, a spring loaded kickstand to keep your scooter standing, and it comes with large 6-inch tires to help give you a smooth ride at all times. In order for this battery to completely recharge, it is going to take about 12 hours. With a full charge, you’re going to get about 40 minutes of continuous usage on the scooter. While this time is going to vary depending on the riding conditions, climate and other factors during the ride. If you’re looking for a scooter that is pretty comparable to the one reviewed above but is a cheaper option, then this Razor E90 Electric Scooter is going to be one of the best options for you. If you’re looking for the perfect electric scooter that is going to help to bridge the gap between a regular scooter and an electric scooter, this is probably going to be the best options for you. It comes with a simple kick start motor that can provide you quick travel at speeds of about 9 mph. The push button throttle, enhanced foot brake, rubber grips and spring loaded kickstand help to make this E90 electric scooter one of the best choices out of all the products reviewed on this list. To help power the scooter, it uses a high torque, chain driven motor which is powered by a rechargeable 12V battery. Additionally, the lighter weight of this model means that it can go longer than any other electric scooter you’re going to see. Similar to the product reviewed above, you’re going to need to charge this product for about 12 hours in order to get a full charge out of the battery. It is important to make sure that you do not exceed 24 hours of charge time at once. Once it is fully charged, this scooter will operate continuously for about 40 minutes. If you are looking for an electric scooter that is a little bit different than any of the other ones on this review post, then you’re going to love to see what this scooter has to offer. Razor E125 is one of the sleekest electric scooters and has a high torque, chain-driven motor and a twist-grip throttle for easy acceleration. This one is a little different in the fact that you have to manually kick it to about 3 mph before it will engage the motor. Once the motor is engaged, it will reach speeds of about 10 mph. This E125 Electric Scooter also comes with an adjustable handlebar so that it can easily accommodate whatever size child is going to be riding the scooter. Additionally, the handle bar brake makes it simple to stop with ease if you need to. 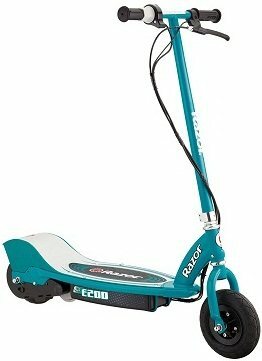 The scooter is also recommended for ages 8 and older only and has a max weight of about 120 pounds. It does also include a 90 day warranty, which can be nice if something happens to go wrong with this scooter. Before you use the scooter, it is important that you charge the battery for at least 12 hours. When the battery is completely dead, it is going to take about 12 hours to fully recharge the battery. With a full charge, you are going to enjoy about 40 minutes of continuous riding depending on the conditions that you face. This is the only product on this entire review that is not manufacture by Razor, so it is going to be a little different than any of the other ones you have seen so far. This reverb electric scooter uses a 100-watt chain motor that helps to boost this scooter to reach speeds of up to 10 mph on a ride. 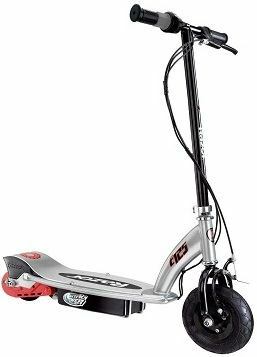 The quality of this scooter is second to none as it includes an ultra heavy-duty stem, rise bars and a steel frame that all provide you with extra protection and durability. This scooter also has the twist throttle like a lot of the other scooters reviewed on this post. Additionally, you get the simple Push-To-Go technology and a hand brake to help you stop with ease whenever you need to. The 24-volt rechargeable battery system helps to give you a continuous ride time for about 40 minutes. 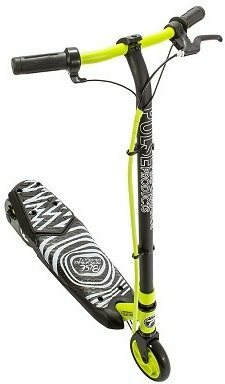 Lastly, this Pulse scooter is meant specifically for riders that are 8 years or older and weigh around 120 pounds. The electric green color on the scooter also helps to provide you with one of the best looking scooters you’ll find. If you’re looking for one of the best electric scooters out of all the ones reviewed here, then you have found the perfect choice for you. This particular E300S electric scooter is a little bit different than the others in the fact that it includes a seat for you to sit on while you are out for a ride on your scooter. Additionally, it comes with a high-torque, quiet, chain-driven motor along with the easy to use twist-grip throttle. This also reaches the highest speeds out of any scooter as it can go up to 15 mph. It also comes with a hand operated rear brake, a spring kickstand and the biggest tires out of any other scooter with 10-inch tires. If you don’t want to use the seat, it can easily be removed from the scooter. When you first get the ﻿﻿﻿Razor E300S Seated Electric Scooter, you should make sure that the scooter battery is charged for at least 12 hours. When the battery is completely dead, it is going to take at least 12 hours to fully charge. Once fully charged, it will provide you with about 40 minutes of continuous usage. There are a lot of different features you can choose to make sure that you get the best model. As with just about any type of product you’re going to buy, it can be really important for you to find a great brand name for your product. Not only is it going to provide you with the peace of mind knowing that you’re buying it from a reputable company, but the odds are good that it will perform better than some of the other brands. 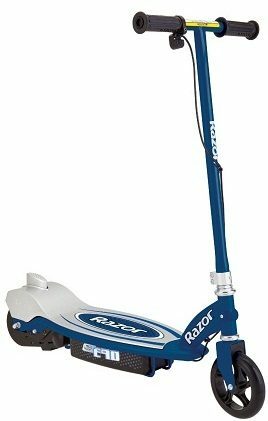 When it comes to electric scooters, one of the best brands that you’re going to find is Razor, which is why 4 of the 5 products reviewed here are made by Razor. 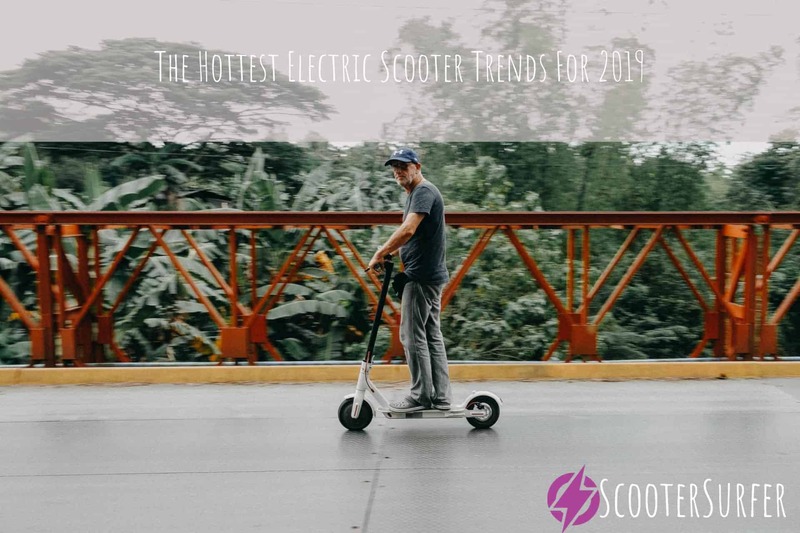 When it comes to electric scooters, the price is pretty important because there is a wide variety of price ranges for them. While you can get away with buying one at a relatively low price, there’s always a chance that it won’t be as good as some of the others. On the same note, the most expensive electric scooter is not always going to be the best one. There are plenty of options so you should have no problem setting a budget to stick to. The battery life on a scooter is going to either be the best or the worst part of the scooter. If you have a long battery life, you’re going to love the battery because it is going to provide you with countless hours of fun and entertainment. A poor and short battery life means that you’re going to be stopping constantly to charge the battery, which will limit the time you can spend on the scooter. If you’re looking for a scooter to provide you with a lot of fun and entertainment, then you are going to want to pay close attention to the speed of the scooter and how fast it can go. 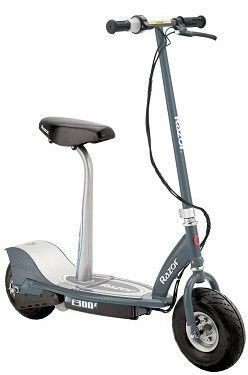 If you are looking for a scooter for your child, then it would be best to find a moderate speed that will be safe for them. However, you may find that you’re going to want a little bit faster scooter if your child happens to be a little older. No matter what speed you’re looking for, you’ll be able to find the perfect scooter for you. 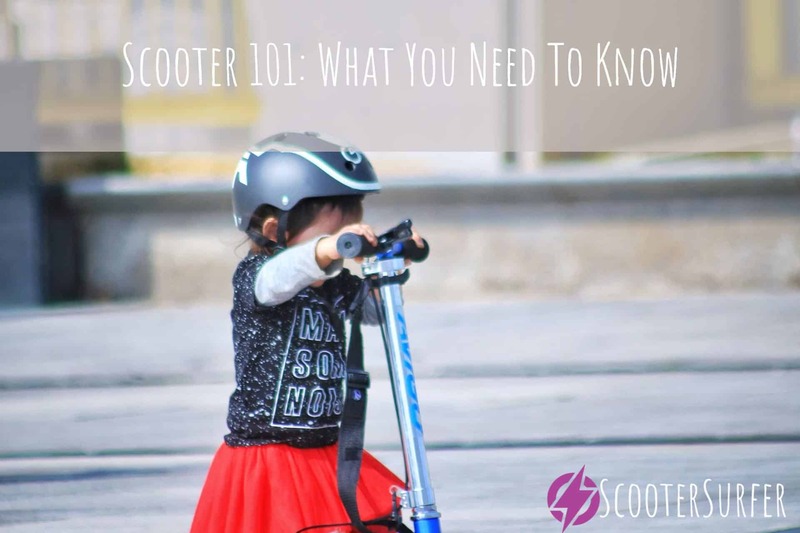 There is a lot that goes into finding the perfect electric scooter for your kid and it’s important that you consider all of the different factors that go into making a great electric scooter. With the product guide provided above and the product recommendations, you’ll have no problem finding the perfect scooter.